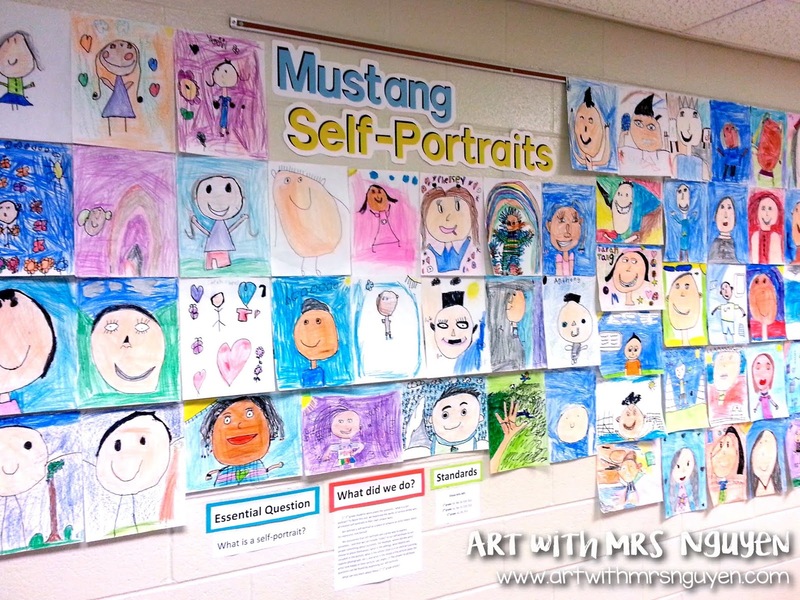 This past week my 1st-3rd grade students were asked the question, "what is a self-portrait?". 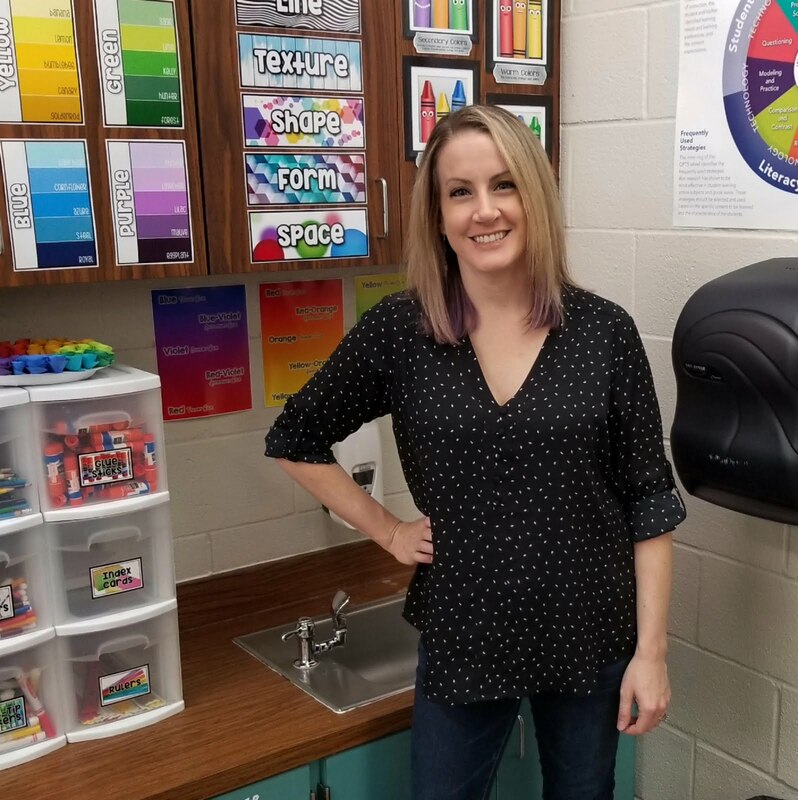 Some students said it was a picture of yourself, while others had absolutely no idea. 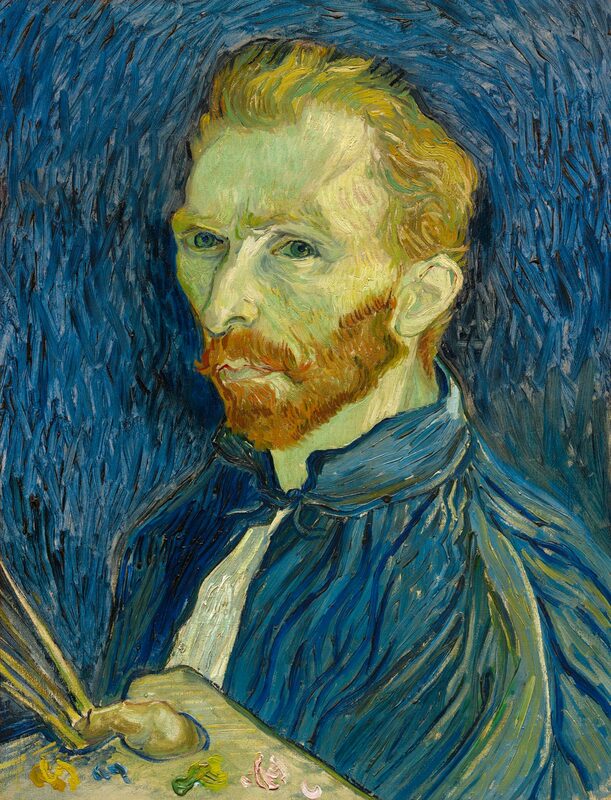 To figure out the answer, we examined the self-portraits of various famous artists and discovered that the answer isn't always so simple. While a self-portrait is defined as a portrait of an artist created or produced by that artist... the artwork itself isn't always that literal. For example, some artists create an interpretation of themselves in their self-portrait so instead of seeing their eyes, nose, ears, and mouth in their picture, you might instead see a collection of symbols that represent that artist. 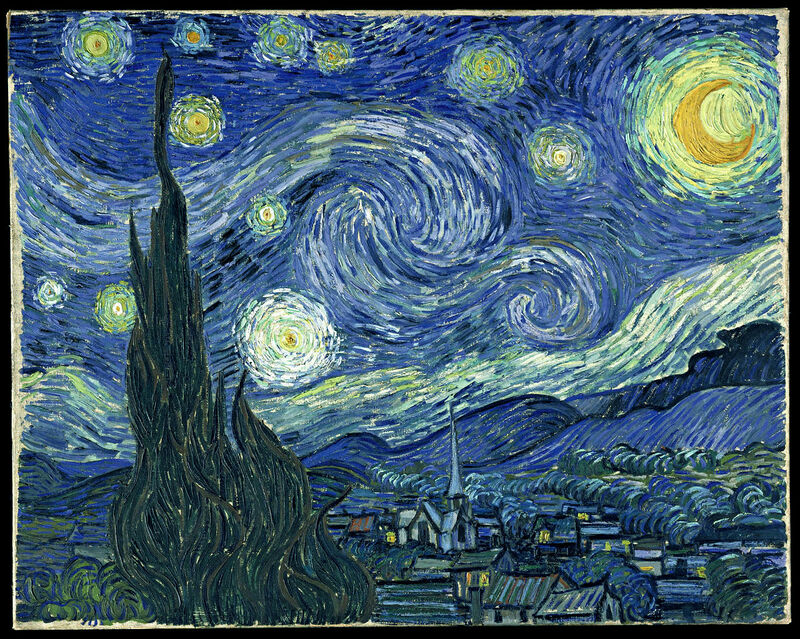 We also talked about how artists often reflect their personal styles in their artwork. 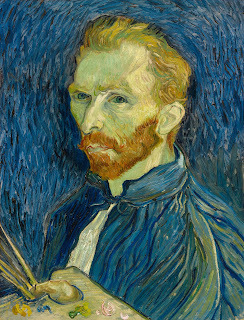 For example, Vincent VanGogh uses similar iconic brushstrokes in his self-portrait (seen below) as he does in a variety of his other paintings (like "Starry Night"). 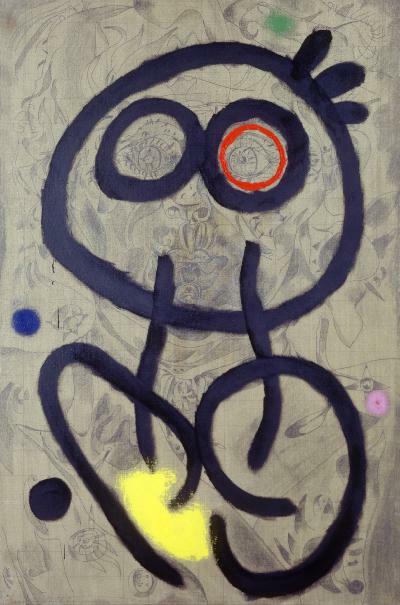 And artist Joan Miro uses a similar abstracted surrealist style in his self-portrait much like the style he uses in some of his other paintings. 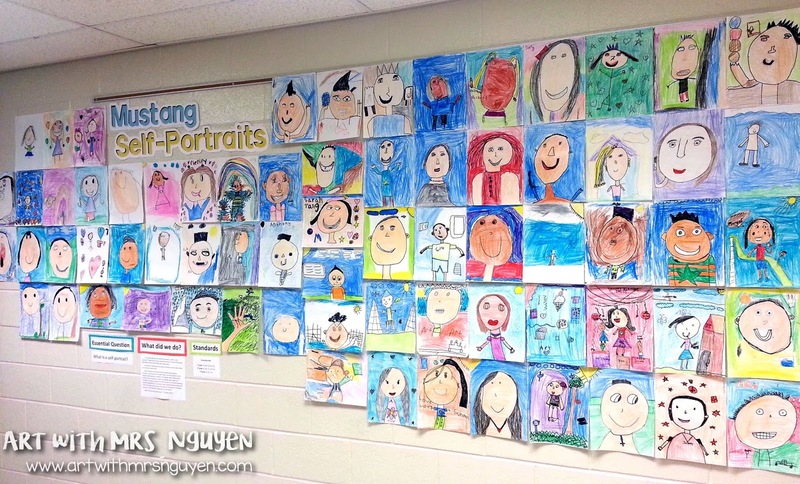 After discussing the many ways that artists interpret the theme of self-portraiture, I asked my 1st-3rd grade students to create a portrait of themselves using a combination of pencil and crayon. While most students decided to do a literal interpretation of themselves, a couple did decide to approach the subject more abstractly.